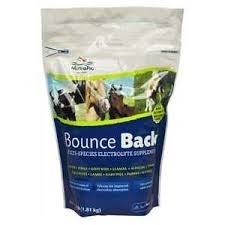 Bounce Back is soluble powder, electrolyte energy supplement for dehydrated calves, foals, lambs, goat kids, fawns, elk calves, crias, baby pigs, puppies and kittens. 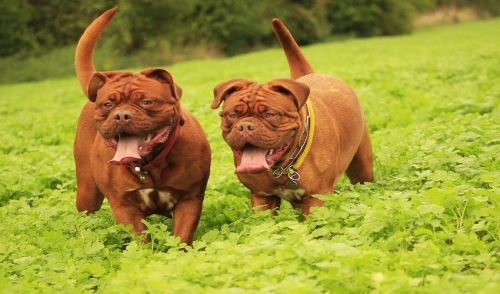 Can also be used in adult cows, horses, llamas, alpacas, goats, pigs, sheep, dogs and cats. Contains dextrose, sodium chloride, sodium bicarbonate and potassium chloride. For calves, dissolve 4 oz powder into 2 qts warm water. Depending on severity of scours and level of dehydration, bottle-feed 2 qts solution 1-3 times daily between regular milk replacer feedings. See label for additional feeding instructions.